In a world which indoctrinates us with a warped idea of the true meaning of 'beauty' from a young age, it isn't difficult to feel as if your body isn't acceptable. It's easy to see ourselves invalid and less worthy of self love than the models on the billboards and the magazine covers. It's easy to feel like, unless we are a carbon copy of them, we will never achieve or feel fully content with our appearance. It's also easy to want to steer clear of the whole 'self love' thing completely, as our world likes to tell us to love ourselves but, when we do, we're seen as overly-confident and full of ourselves. It's as if we can't win. However, despite the toxic messages sent to us via the media and our judgemental peers, everyone deserves to love their body. The meaning of beauty is so broad that it covers anyone and everyone, regardless of shape, size or colour. It's time to put an end to this harmful culture of children growing up hating their bodies and to start teaching them that loving yourself is cool! The best way to encourage others to love themselves is to lead by example and start with loving ourselves. 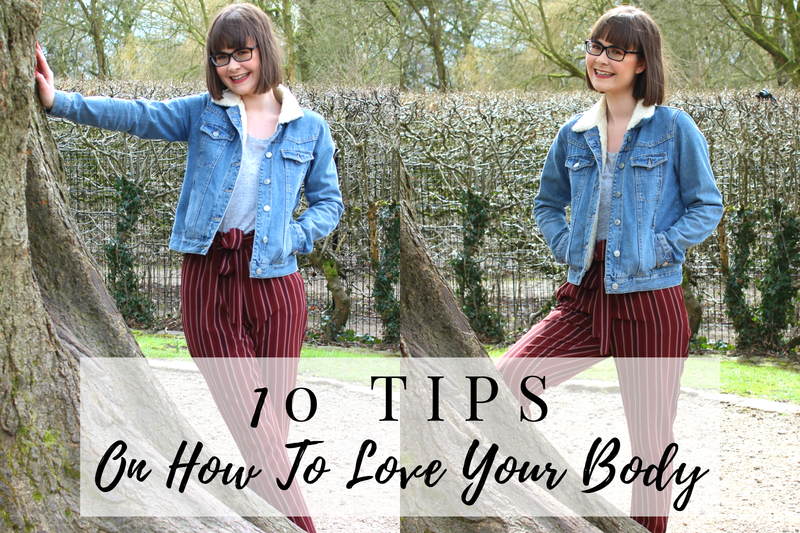 Now, self love isn't an overnight thing, not even a weekly or a monthly thing, in fact, however, when it comes to learning your body, taking baby steps is the key to a lifelong happy and healthy relationship with your body, inside and out. 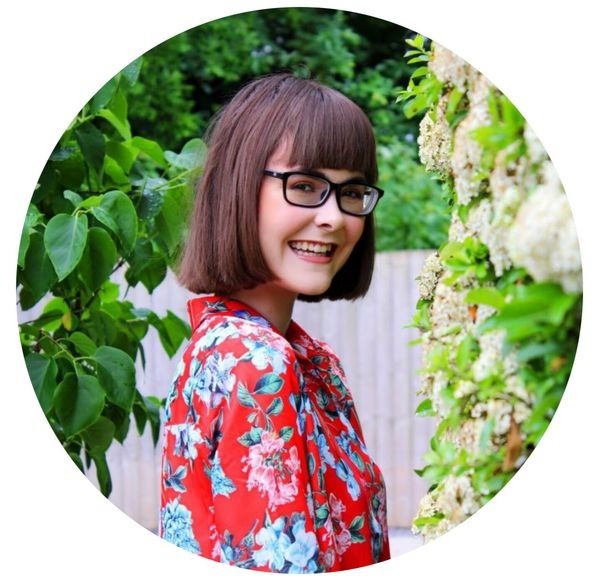 Here are ten things which you can start introducing into your life to begin your journey to body acceptance. The first step on the journey to accepting your body is to recognise that there isn't a 'perfect' image you need to aspire to have. The truth is, perfection means something different to everyone, therefore, it's physically impossible for you to achieve it. Even the photoshopped models you see on the covers of glossy magazines are not 'perfect.' Society will make you want to aspire to be something you're not but what makes you unique is what makes you beautiful. Breaking free from the shackles of society's expectations isn't easy but it'll give you a much clearer view of the world and allow you to see everyone as individually beautiful. It'll allow you to build a much healthier relationship with your own body if you don't do it for the sake of looking like someone else. 'Perfection' exists in seven billion different forms and it's vital we clear our minds of any twisted perceptions of beauty if we want to love ourselves fully. Low self esteem and body confidence can make us feel very lonely. It's an isolating thing, hating yourself. It pushes you away from everyone you love as you come to believe that no one hates themselves as much as you hate yourself. However, that simply isn't true. Sadly, millions of people live each day feeling as low and as self conscious as you do but, because body image is an internal battle, we just don't realise it. Even the people who walk with their head high and spring in their step will have body hang ups. There is an army of support out there for you and many people for you to connect with, should you wish to share your story. Or, if connecting with strangers isn't your thing, you may just find some comfort in the fact that you aren't the first person to dislike your body and you certainly will not be the last. The emotions you are feeling are very much normal and valid, but that doesn't mean that you are destined to feel them forever. Certain areas of your body can be changed, either through diet or exercise, and whilst it's okay to change these things as long as you are doing so for the right reasons, other parts of your body just can never be changed. The birth marks, the wrinkles, the acne, the colour of your skin, the freckles, the extra weight in various areas... these are all things unique to you and which contribute towards your beauty. Focusing on them too much can take away precious time that could be spent loving yourself. So, instead of hating the things which make you special, learn to embrace and celebrate them. Acknowledge how poisonous it is for you to want to change your little quirks and paying so much attention to things that will always be there does not benefit you. There is nothing wrong with giving yourself a compliment. Look in the mirror and tell yourself that you look good, leave yourself little notes around the house to remind you that you're killing that outfit, set reminders on your phone for confidence boosts throughout the day. Society will try to tell you that complimenting yourself is an act of vanity when, in fact, it is very much necessary. As great as compliments from other people are, the best ones come from within ourselves because they are sincere and such beautiful acts of self love. You should never stop recognising what you love about your body and doing so shall help you keep a positive attitude and healthy mindset. Replace the negative, self deprecating thoughts with happier ones and say the things to yourself that you often say to other people. Comparison is the root of all evil and absolutely nothing good comes from it. Comparing yourself to models, your friends or celebrities may make them feel good but, in turn, only sets you further back on your journey to self acceptance. Another person's beauty is never in the absence of your own and, whilst they may look great, you look great too, regardless of whether or not you look anything alike. Flowers are pretty but so are Christmas lights and they could not look less similar, if we can accept the beauty of objects which are polar opposites in terms of appearance, why can't we do the same with human beings? Comparing yourself to others is a time waster, especially when it is physically impossible for you to ever be their identical clone. It's good to dish out compliments but never view anyone else as more beautiful than yourself. No one is superior or more deserving of self love. Instead, take inspiration from the people you admire and use their confidence as fuel. Don't diet or deprive yourself of what your body needs. Instead, establish a solid, healthy relationship with food, it's what keeps you alive, after all! There is no need for you to cut out things from your diet or drastically change your meal plan. Simply give your body what it is asking for and don't feel guilty about treating yourself. Size has zero correlation with beauty so don't feel as though being smaller equates to being more worthy. Eating right is a simple thing we can do to make us feel good on the inside. We should eat things in moderation, healthy portion sizes and ensure we are nourishing our body with the vitamins it requires. As well as taking care of your body with food, it's important to look after it in other ways. Nourish it with love by resting it when it requires rest, bathing it when it requires bathing and exercising it when it requires exercising. Treat your body as if it is something worth loving and take care of it as, after all, you only get one! Whether it's by using bath bombs, lavender oils, doing yoga, taking afternoon naps or drinking teas, there are endless ways for you to show love to your body. The journey to full self love can be a rocky road so, when we reach an obstacle, it's important to fight through it rather than turning back. Doing things which force you outside of your comfort zone can end up being the most rewarding things you will ever do. Even simple things like going out in public wearing a pair of trousers you love but make you self conscious can make you feel so much better about yourself once you've done it and proven that you have the ability to conquer anything that tries to block your path. It's also necessary to challenge any negative thoughts and confront your inner demons head on. Talk to these thoughts and try to understand where they are coming from. Then, tell them that they cannot and will not win. Don't allow them to convince you of things which are not true. Also, if your issues are very serious, the greatest act of bravery comes from opening up and asking for help. By committing to this challenge, you could open so many doors for yourself. Nothing worth having, like self love, comes easy, and it's vital we don't get scared and shy away from what we really want when times get tough. Although we should not seek validation from other people, the energy from those we surround ourselves with does have an impact on the way we perceive ourselves. By surrounding yourself with negative people, their negative energy will, undoubtedly, radiate onto you. However, by surrounding yourself with people who uplift you and make you feel good about yourself, your whole mood will change and, therefore, make you feel more inspired on your self love quest. You may also feel comfortable sharing your struggles with your friends and family if they make you feel at ease around them. Surrounding yourself with positivity also refers to social media. Unfollow anyone who makes you feel bad about yourself and you'll soon see results. There will be plenty of hurdles for you to overcome as you battle with your body image but the most important thing in it all is that you keep going, regardless of how many set backs you have. The journey will not be pretty and the view along the way will be rather ugly at times, however, if you can conquer the demons inside you, it will all be worth it and you'll know that, later in life, you will be able to do anything. Don't be afraid to ask for guidance when you need it and don't shame yourself if you go through a rough patch, as it's only natural for you, as a human being, to take a few steps backwards sometimes. No matter how long it takes, (and it may take quite a while) it is possible for you to achieve peace with your body, once you do, it'll be the greatest feeling on Earth. Excellent advice!! For me, numbers 2 and 10 are very helpful, thank you!